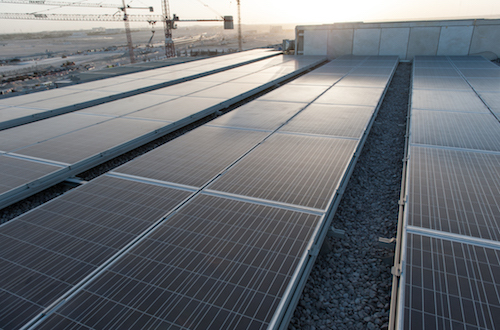 Now known as “Evergreen Commercial Building”, this Tadmur Holding building has obtained a Gold LEED Certification making it the first sustainable development in Energy City Qatar. 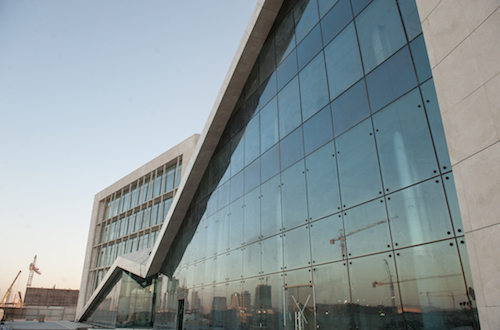 Energy City in Lusail stands to be the first energy business centre in the Middle East catering to commercial, technical and human resources needs of the oil, gas and hydrocarbon business which is the backbone of the Qatari economy. 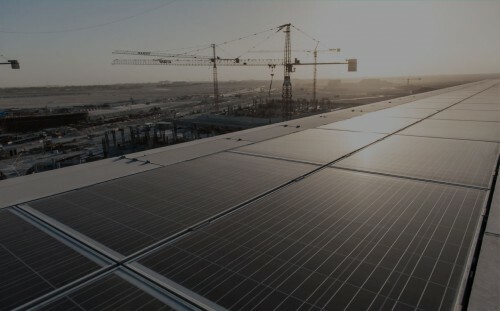 We complement the modern building design with a state of the art clean energy system of roof integrated photovoltaics.